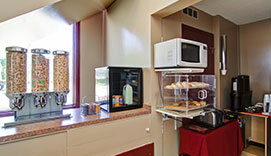 Friendly Service And Comfortable Rooms Make The Econo Lodge Edson Your Home Away From Home. Conveniently Located Along The Yellowhead Highway, The Econo Lodge Edson Is An Ideal Stop For Travellers And Work Crews In Alberta’s Energy Industry. Our Staff Go The Extra Mile For All Of Our Guests, Including Those Four-Legged Friends You Couldn’t Bear To Leave Behind! 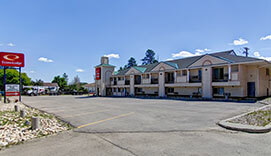 Whether you need a place to stay for the night, or you're coming to Edson for work, the Econo Lodge Edson Hotel is the perfect place to stay. Our spacious rooms and modern amenities will ensure that you are comfortable, while our friendly and helpful staff are pleased to do what it takes to make your stay a pleasant one. Located on the Yellowhead Highway, the town of Edson is a great stopover on your way across the country - it is approximately two hours from Jasper National Park and Edmonton. Sitting along the main route between these two destinations, the Econo Lodge Edson boasts much better rates than you'll find at either. Book a room online today using our secure reservation system and experience the hospitality of one of the best hotels in Edson, Alberta! The Econo Lodge Edson, ideally located off the Yellowhead Highway, offers 30 tastefully furnished rooms, making us the perfect rest stop between Edmonton and Jasper National Park. All of our spacious guest rooms are outfitted with your comfort in mind, and feature all the amenities you have come to expect in a well-equipped hotel. Edson Alberta is home to thriving oil, gas, coal, and timber industries and at the Econo Lodge Edson, we welcome work crews. You'll appreciate our exceptional rates and the extra touches we provide, including a pre-made breakfast so you can grab a hearty meal on your way to the job site. We're also close to the airport, making your travel plans a breeze. © 2015 Econo Lodge Edson. 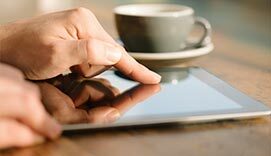 All Rights Reserved This website is owned and maintained by the Econo Lodge Edson, a licensed user of certain proprietary trademarks and service marks of Choice Hotels International, Inc.